1. 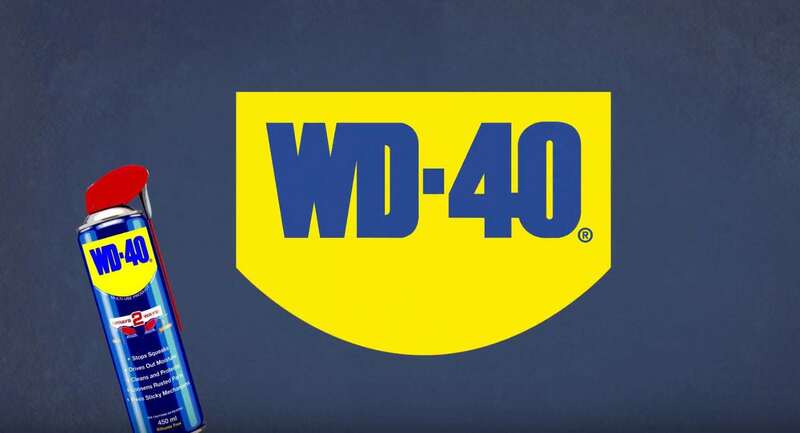 Offer open to residents of the UK, including Northern Ireland, aged 18 or over, excluding employees and their immediate families and household members of WD-40 Company Ltd, its agents, and anyone else professionally connected with the Promotion. Entry to the Promotion shall constitute acceptance of these terms and conditions. 2. For a chance to win, the customer must identify the WD-40 Multi-Use Product Smart Straw within the garage via the online competition entry tab, housed within Original WD40 UK Facebook page; and submit requested details in order to be contacted at a later stage if successful. 3. By entering a competition on the Original WD40 UK Facebook page you are agreeing to WD-40 Company Ltd storing and using your information for marketing purposes. We will not share your information with third parties unless you specifically agree to us sharing these details and you can opt out at any time by unsubscribing from emails. 4. This Promotion is in no way sponsored, endorsed or administered by, or associated with Facebook. By participating you hereby release and hold harmless Facebook from any and all liability associated with this promotion. Entrants are providing information to WD-40 Company Ltd and not to Facebook. 5. The winner will receive a £5K GBP trip across Canada, including flights, accommodation and hire car for 2 people. Fuel for the hire car is not included and the winner will be required to provide their own travel insurance for the trip. The winner will be required to take up the prize within 12 months of the closing date (28/02/2017). 6. The Promotional Period is between 1st April 2016 to 28th Feb 2017. 7. Entries received after the end of the Promotional Period (for whatever reason) will be invalid. 8. As soon as the prize winner claim has been validated the WD-40 Road Trip Customer Service team will commence the prize fulfilment process. The Road Trip winner will be contacted directly to arrange prize fulfilment. 9. The Promoter will not be liable if a prize winner cannot take the prize for reasons beyond the Promoter’s control or if the Promoter is unable to contact a winner, including due to his or her provision of inaccurate or incomplete information. 10. If a prize winner cannot be contacted or does not respond within 28 days of the end of the promotion, if the e-mail address is out of service or does not exist, the winner is ineligible, the winner’s entry is invalid or disqualified or the winner has otherwise failed to comply with these terms and conditions, such potential winner forfeits all rights to any prize. 11. No cash or other alternatives are available to the prize which is non transferable and non exchangeable. The Promoter reserves the right to substitute the prize with an alternative prize of similar value and in exceptional circumstances to amend or foreclose the promotion without notice. No correspondence will be entered into. 13. The prize winner will be announced publicly via Original WD40 UK Facebook page, once the winner has been made aware first. 14. The winner may be required to take part in publicity relating to the Promotion. By entering the Promotion, winners agree to the use of their name and image by the Promoter for such purposes in any media without further compensation. 15. The Promoter will not be responsible under any circumstances or be be liable for any person not being able to enter the Promotion for any reason, including system failures, network error, or personal computer issues. 16. The entrant is responsible for all Internet connection costs charged by the service provider. If the entrant does not pay the bill please get permission from the person who does. 17. Participants agree that the Promoter and its affiliates and agents, and their employees, directors and shareholders, will be held harmless for any liability, loss or damage of any kind resulting in any way from participation in the Promotion other than for death or personal injury arising from their negligence or any other loss to the extent that such loss may not be excluded or restricted by law. The Promoter makes no express or implied warranties with respect to the prizes. 18. If any court or competent authority finds that any provision of these terms and conditions (or part of any provision) is invalid, illegal or unenforceable, that provision or part-provision shall, to the extent required, be deemed to be deleted, and the validity and enforceability of the other provisions of these terms and conditions shall not be affected. 19. If for any reason any aspect of this competition is not capable of running as planned, including by reason of infection by computer virus, network failure, bugs, tampering, unauthorised intervention, fraud, technical failures or any cause beyond the control of the Promoter which corrupts or affects the administration, security, fairness, integrity or proper conduct of this competition, the Promoter may in its sole discretion cancel, terminate, modify or suspend the competition, or invalidate any affected entries. 21. These terms and conditions are governed by the laws of England and are subject to the exclusive jurisdiction of the English courts.